1. Press the “Menu” button on your remote. 2. 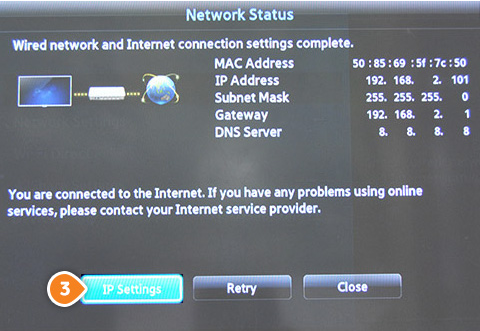 Under “Settings menu” select “Network” (1) then choose “Network Status” (2). 3. After few seconds, you will see 3 buttons. 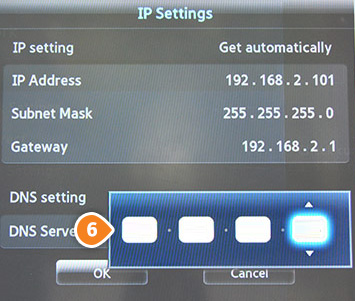 Choose the “IP Settings” button (3). 4. 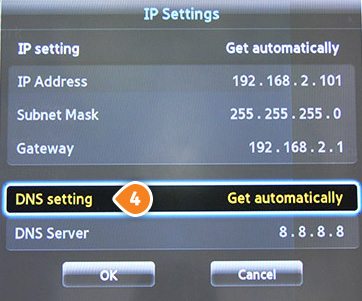 Choose the “DNS setting” (4). 5. 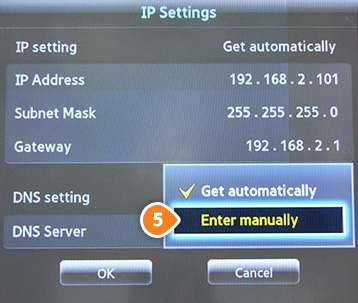 Select “Enter manually” (5). 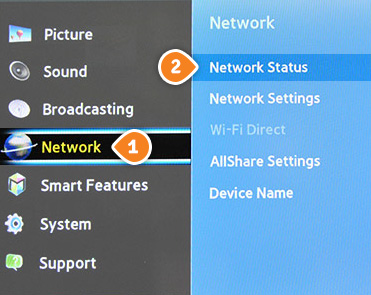 Note: In order to install US or UK apps, you might need to change the region configured on your TV. Please follow this guide for additional details.